My green thumb is lacking, but growing my own garden vegetables is a low-cost way to get fresh, nutritious foods into my family’s diet. That’s why I rely on planting vegetables that are easy to grow. These veggies produce abundantly even though I’m no expert gardener, and they keep our plates piled high with fresh produce all season long. Spinach springs up quickly, so it’s a good choice for impatient gardeners. If you pluck only the outer leaves, the plants will keep producing for quite some time. Spinach thrives in cool weather, especially in a sunny spot. You can actually plant spinach crops twice a year: once in the spring and once in the fall. Not only is spinach easy to grow, but it’s also extremely healthy. It’s one of the best sources of iron and magnesium, and it also contains calcium, potassium, vitamin K and other vitamins and minerals. To plant summer squashes, such as zucchini and yellow squash, form a small hill of dirt, and bury a few seeds at the top of the hill. Once the plants get going, they’ll produce more than enough squash to feed most families. Small squashes harvested early in the season are the best ones for eating straight. Sliced lengthwise and coated in balsamic vinegar and olive oil, they’re just right for tossing on the grill. If the squashes grow too large, use them for zucchini bread instead. If you plant cucumber seeds in a warm, sunny spot, they’ll grow prolifically. For best results, take time to thin the seedlings and be sure to water the plants regularly. 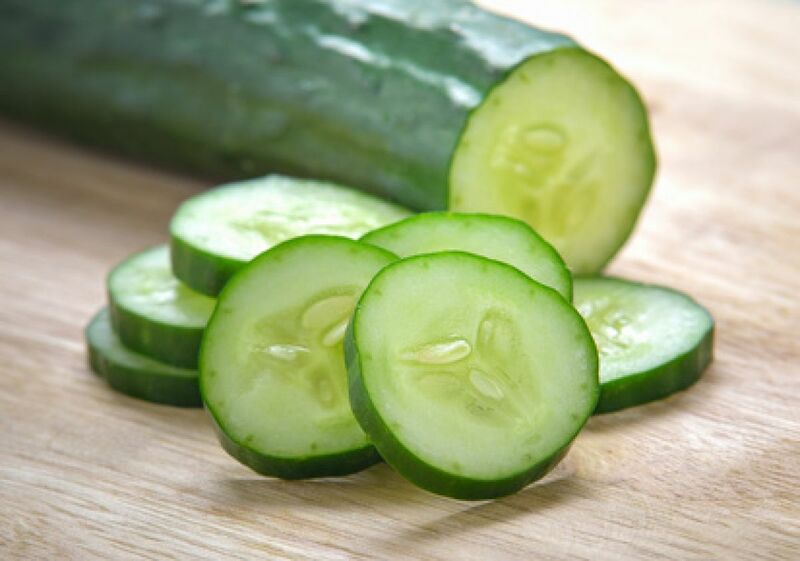 Cucumbers taste best when harvested while still small. Plus, the more often you pick them, the more the plants will produce. For an easy snack, slice cukes and dip them in a simple dressing made of sour cream, dill weed, celery salt and onion powder. As long as you get peas in the ground at the right time, you’ll find them an easy crop to grow. Peas like cool weather, so start them a month or more before the last frost of the spring. They need limited water and not much by way of fertilizer. Sugar Ann peas are an especially good variety for beginning gardeners. The seeds produce small, manageable vines, and the peapods are particularly tasty. If you love a good BLT or garden salad, you’ll certainly want to plant tomatoes in your garden. Rather than planting seeds in the ground, to grow tomatoes, you’ll use seedlings. You can start your own seedlings indoors early in the season, but most beginning gardeners find purchasing seedlings easier. As tomatoes grow, they need support, but surrounding each plant with a tomato cage is an easy solution. Even easier than full-size tomatoes are cherry varieties. These bite-size treats will keep producing all summer long. Look for Sweet Million seedlings at your local nursery. Radishes have a strong flavor that some people enjoy more than others, but if you enjoy them, don’t pass up a chance to grow these easy veggies. Just one packet of radish seeds will produce more than enough for most gardens. Plant them in the dirt, add water and watch for the first signs of growth in less than a week. Most radishes do best in cool weather, so plant them in the spring. Cherry Belle and Burpee White are two examples of quick-growing spring varieties to try. Unlike some varieties of green beans, bush beans require no stakes or trellises, so you can put them in any spot in your garden. Adding mulch to your garden will help maintain the right growing conditions; just don’t add it until the plants have developed some leaves. To feed your family, plant 10 or 15 seeds for each member of your household. Bush beans produce a crop over a period of two weeks, so plan to eat plenty of beans those weeks, or freeze them for future use. Loose-leaf lettuce varieties grow well in a garden plot or in a container garden. Lettuce thrives in cool growing conditions, so plant a spring crop and a fall one. Covering the plants once the weather warms up will help them continue to produce edible leaves for a while. Loose-leaf lettuce can produce salad greens for many weeks as long as you harvest properly. Don’t dig up the whole head or remove all of the leaves. Take only the outer ones, and the middle will continue to grow. Also, tear the leaves instead of clipping with scissors, and be sure not to damage the plant’s crown. After removing the outer leaves, let that plant grow for a full week before harvesting more from it. Which of these vegetables do you plan to plant in your garden this year? Lettuce is one of my favorite crops to grow. Share your top picks and your tips for a bountiful harvest in the comments. Gardening is most fun with a partner, so please share this article with your friends.